Extension cords, drill bits, and batteries are just a few of the accessories that we carry. When something breaks or is lost we are your one stop shop for a replacement part. 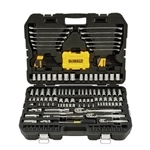 We also have several assorted tools, hole saws, tool bags, glues and much more for any job.